Club Penguin Cheats by Mimo777 Club Penguin Cheats by Mimo777: New Hot Pink Puffle on Club Penguin?! 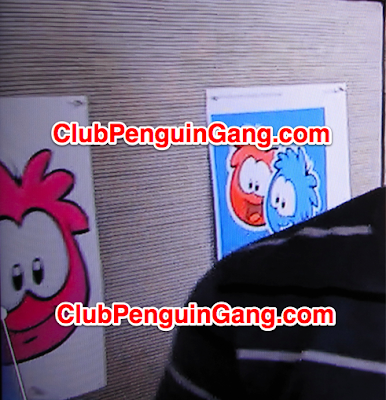 Remember this Club Penguin Puffle Party logo? It became popular, because the color order could predict the next new color of puffle. Well, if that is the case, the Hot Pink Puffle will be here next! Woot! So, that means we will have a new hot pink puffle at the Puffle Party, right? oh im guna b the only comment but oh well um what was i gunna say? oh yeah i luv ur website. can u tell me how to get to the question and answer page?? I don't know.... There's already pink puffle, why would they add a hot pink one? It just seems repetitive. What's next, camo green? Red orange? See what I mean by this? It's kinda redundant. Wow you guys are smart! to be honest im glad they havnt brung in a new puffle just yet. other wise they will run out of colors fast and there will be SO MANY colors it will be hard to keep up....i recon they should have the PUFFLEBAT! like they do in puffle rescue! that would be epic!!! Wow, you are very observant. The PH might find it this year and have it as a braking news, 2nd type of pink puffle JUST discovered! There's no new puffle for this year. Hey Mimo! Check out the PP! There's 3 free hats (one in play zone, one in Plaza and town, one in the mini St. Patty's day party at the mine) and you can be your puffles! 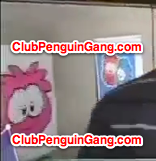 That's not a Hot Pink puffle on Disney's Get Connected party video, That's a red puffle as the Club Penguin team told me.